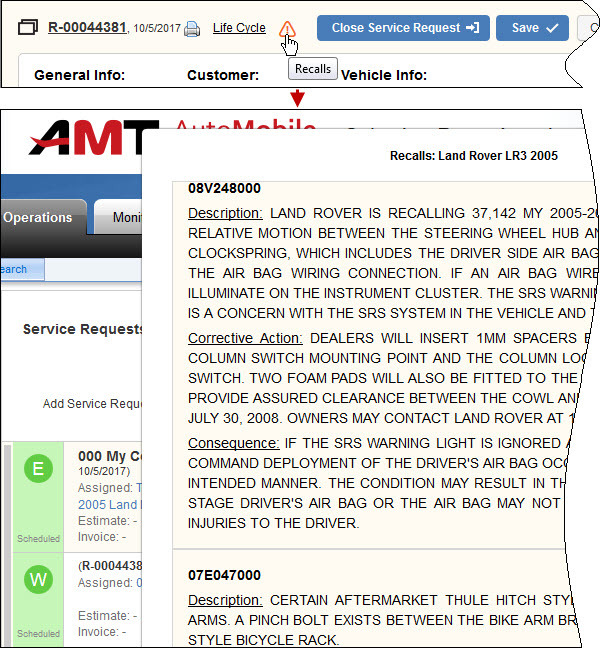 You can see whether a vehicle in service requests has ever been recalled, as well as view detailed information on each safety recall. Important! 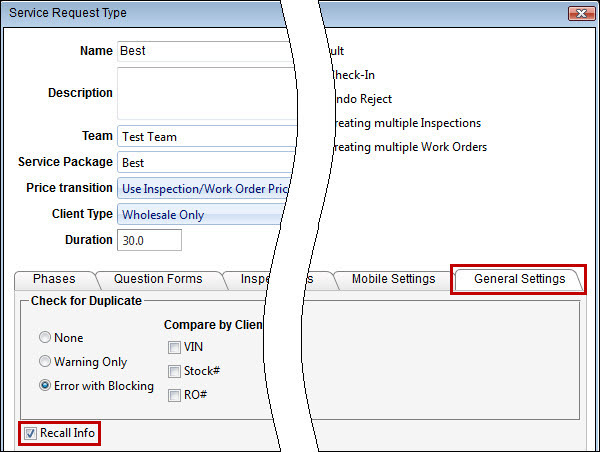 Recalls are shown for service requests if the Recall Info check box is selected on the General Settings tab of service request type. The Recalls icon appears when you point to a service request in the list or click a service request to see its details. To see the details of vehicle recalls, click the Recalls icon. 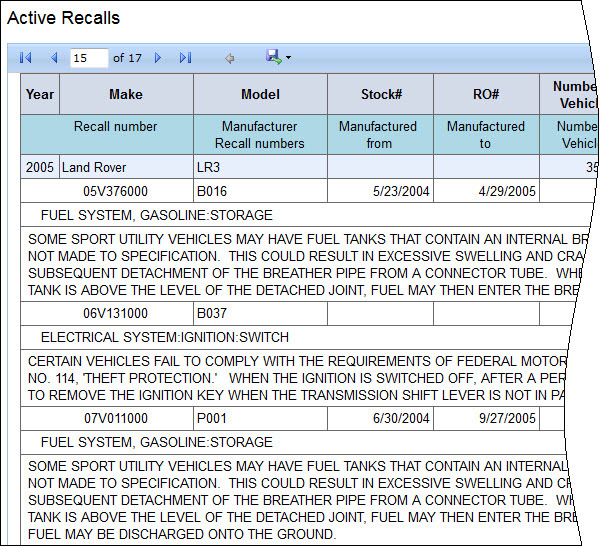 To generate the Active Recalls report, on the Reports tab, click Active Recalls.